Yamato traces it's origins to 1922 when Kawanishi Machinery Co., Ltd. created a scale manufacturing division. This became the separate company, Yamato, in 1945. 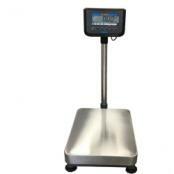 Since then Yamato has established itself as a global leader in the weighing equipment and systems industry. Yamato produced Japan's first domestically made strain gauge load cell in 1953 and began manufacturing digital electronic scales in 1969. Yamato was one of the first companies to realize the possibilities of the multihead principal, and began manufacturing computerized multihead weighers and load cell checkweighers in 1980. Yamato holds over 400 patents worldwide and is continuously developing new technologies to provide better solutions for our customers. They also realize that the quality of our products and services is essential to customer satisfaction. Yamato was the first company in the scale industry to be recognized as a designated manufacturer under Japan's Measurement Law. The production facility in Akashi, Japan became ISO 9002 certified in 1994, and ISO 9001:2000 certified in 2002. To this day the focus remains on quality, customer satisfaction and developing new technologies. 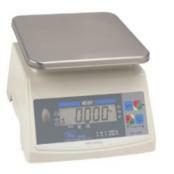 Yamato Accu-Weigh SM(N) Stainless Steel Dial ScaleThe Accu-Weigh SM(N) stainless steel Universal Dial Scales (UDS) has capacities ranging from 2 lb to 50 lb (900 g to 22 kg). Stainless steel construction and NSF certification. Great for food service. A snap-on stainless steel platform is standard. Dashpot, two bowl options (10" scoop and 5 quart bowl) are options. 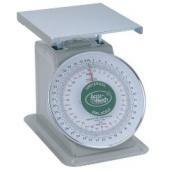 Yamato Accu-Weigh M Series Mechanical Dial ScaleAccu-Weigh M series of Universal Dial Scales (UDS), with capacities ranging from 2 lb to 150 lb (800 g to 67 kg), suits a world of applications. 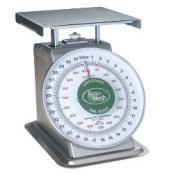 A baked enamel steel body with a snap-on stainless steel platform is standard with our UDS scales. Dashpot, two bowl options (10" scoop and 5 quart bowl) also available. Yamato BC-10 Bar Inventory Dial ScaleInstant and accurate Bar Inventory Control at a glance. The BC-10 measures any size bottle up to 64 fluid ounces (half gallon). Complete operation instructions are attached to the side of the scale. A sample inventory sheet is supplied showing an easy and efficient control system. Start a program of inventory (and profit) control today with the bar inventory scale.